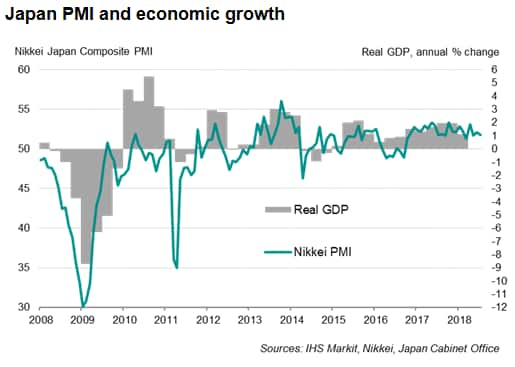 Nikkei PMI data indicated that the Japanese economy expanded at the start of the third quarter, but the pace of growth lost momentum again after a slight acceleration in June. 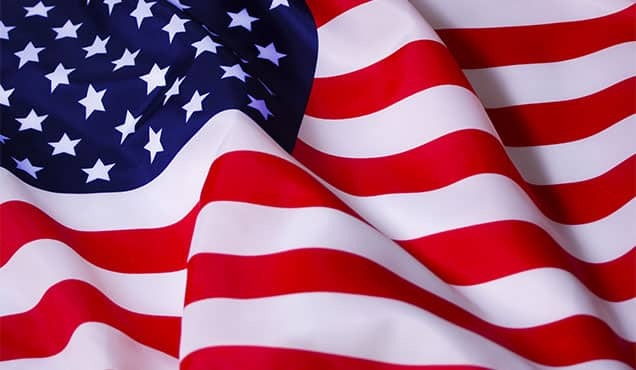 Moreover, the pace of expansion in July was slower than the average for the second quarter, suggest that sustaining growth momentum is increasingly difficult during a time of escalating trade tensions and uncertainty in the global environment. Price pressures meanwhile are showing signs of picking up, although largely driven by supply factors. The Nikkei Japan Composite PMI™ Output Index dipped from 52.1 in June to 51.8 in July, representing a modest and slower rate of growth of business activity in the economy. The July reading is consistent with annual GDP growth of 1.0%, down from a 1.5% expansion signalled by the survey data for the second quarter. More concerning was the weakening performance in new business. Although still signalling growth, the latest data showed the joint-weakest (on par with May) increase in new work since November 2016. 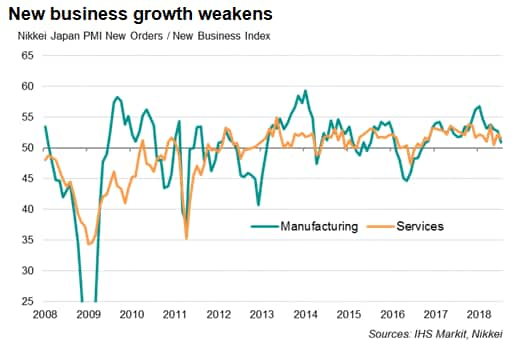 Robust manufacturing activity has played a primary role in driving the recent expansion, helping to bolster domestic demand and therefore the service sector. However, July saw manufacturing growth slow to a near one-year low as export sales failed to pick up following a downturn in June. There were also reports of heavy flooding disrupting manufacturing operations. 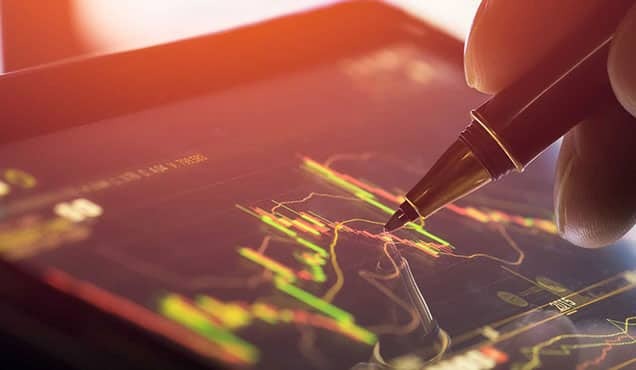 The recent weakness of the export trend raises questions if trade frictions have become a major cause of concern, particularly among manufacturers. 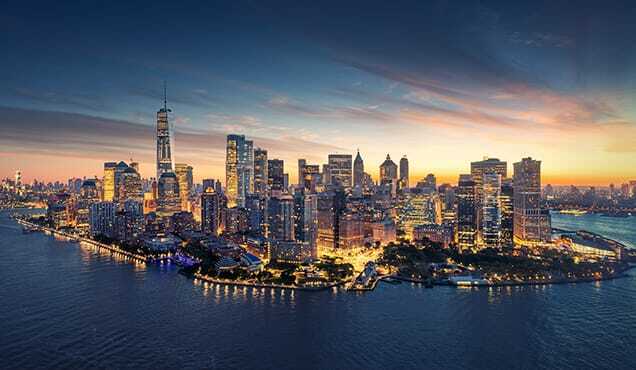 Some survey participants were indeed worried about the impact of rising trade tensions and overall expectations towards future production were the lowest in four months. Another area of concern is the widespread shortage of inputs, which saw supplier delivery times lengthen to the greatest extent since the 2011 earthquakes, possibly exacerbated by inclement weather during the month. 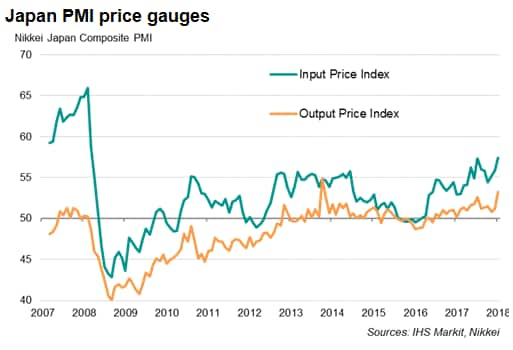 July data meanwhile showed the steepest rise in input costs for nearly a decade, with the PMI survey's gauges of input price inflation for both manufacturing and services ticking higher. Firms continued to report widespread increases in costs for oil, food, metal and labour. With companies seeking to pass higher costs on to customers, average selling prices for goods and services rose at the fastest rate for over four years. 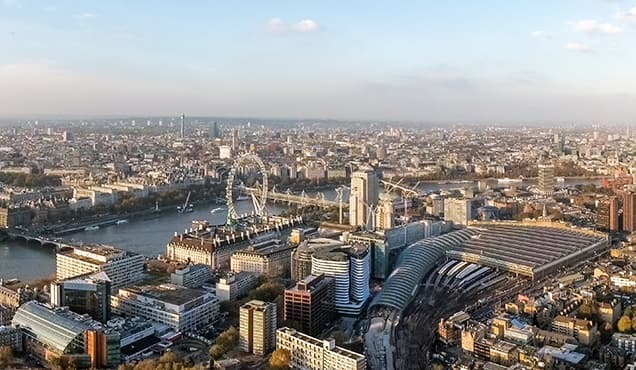 Service sector output price inflation ran higher than that of goods prices for the first time in six months, which could potentially lead to a stronger rise in consumer price inflation. 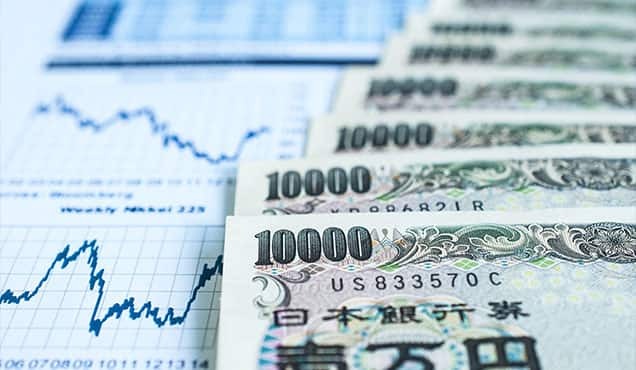 Minor changes to the Bank of Japan's policy announced during the July meeting are simply a proclamation that the central bank would maintain its ultra-accommodative stance for an extended period. 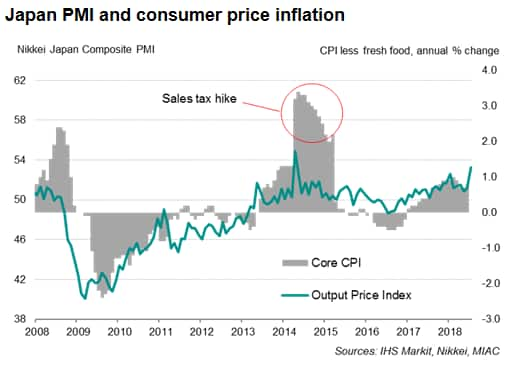 Subdued inflation has remained a bugbear in the BOJ's efforts to push prices higher through five years of aggressive monetary easing. 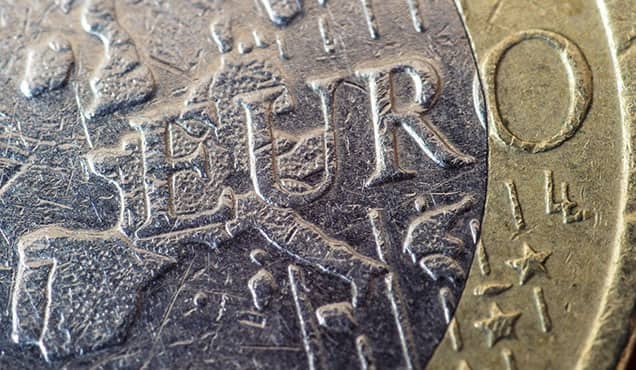 The latest survey data largely supported the policy tweaks, while reports of rising charges will be welcomed by the central bank.